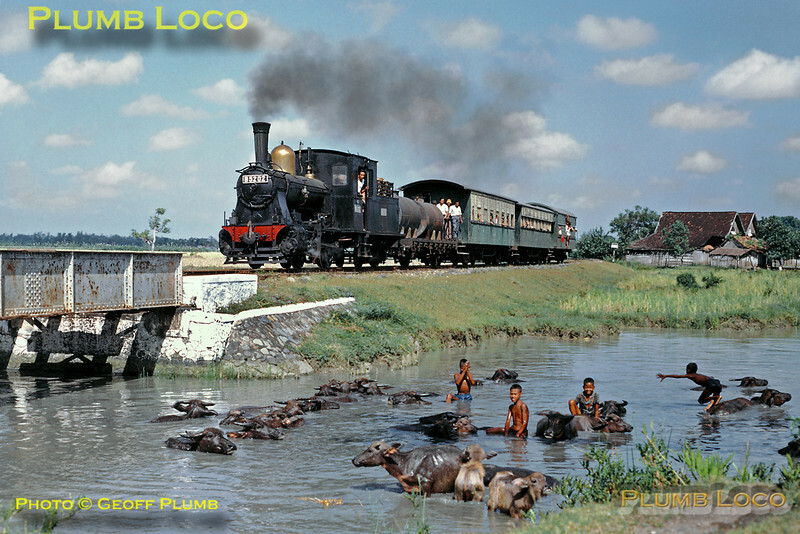 PNKA (Indonesian State Railways) B52 Class 0-4-0 No. B52 02 with the 07:18 train from Kudus to Rembang, somewhere between Djuana and Rembang on the northern coast of Central Java. Some of the local kids play with the water buffaloes to keep cool! Monday, 23rd July 1973. This engine was one of a batch built by Hartmann in 1908. Slide No. 11667.